The design process of laminated composites faces two challenges: the engineer designs the product and its morphology, but also, simultaneously, the material. The number of design solutions can be huge since the solution space is very large. Standard CAE systems (CAD, Finite Element Simulation) do not offer to the designer an approach to explore design spaces easily handling design parameters that are intrinsic to the laminate structures: number of plies, layers’ constitutive laws, viscoelastic capacity of the matrix and volume fraction of fibers. This paper provides a new model of behavior making explicit these design parameters. This Parametric and reduced Behavior Model (PRBM) allows engineers to make rapid simulations of the product they are creating. Integrated in a meta-model of Knowledge, it is combined to usual specific knowledge that are typically the domain of composite experts and manufacturing experts. Our PRBM is made from a separated numerical method, next enabling (1) a multiscale approach: the engineer can implement reasoning either at the scale of the fiber, or at the scale of the ply, at the scale of the plies interfaces, at the scale of the lamination or at the scale of the structure, or, (2) a multiphysical approach: the engineer can independently manage the mechanical effect of each ply and each interface, either in static or dynamic cases; in the latter, the creeping behavior can be considered. 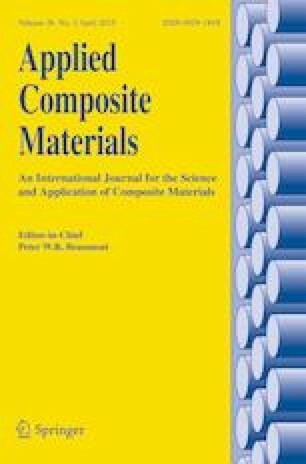 Two simple cases are presented to illustrate the relevance of the PRBM when simulating composite structures: one under a static load and the having a dynamic behavior.